Children love the taste of Haliborange Kids Vitamin D Calcium Softies. The strawberry flavoured softies not only taste delicious, they also help provide the body with the calcium and vitamin D needed for healthy bones and teeth. From an early age, we are required to eat three servings of dairy every day to give us strong bones and teeth, but it's not always easy. 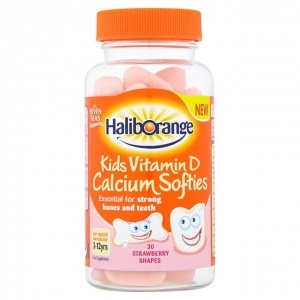 Haliborange Kids Vitamin D Calcium softies are a great way to top up your intake.